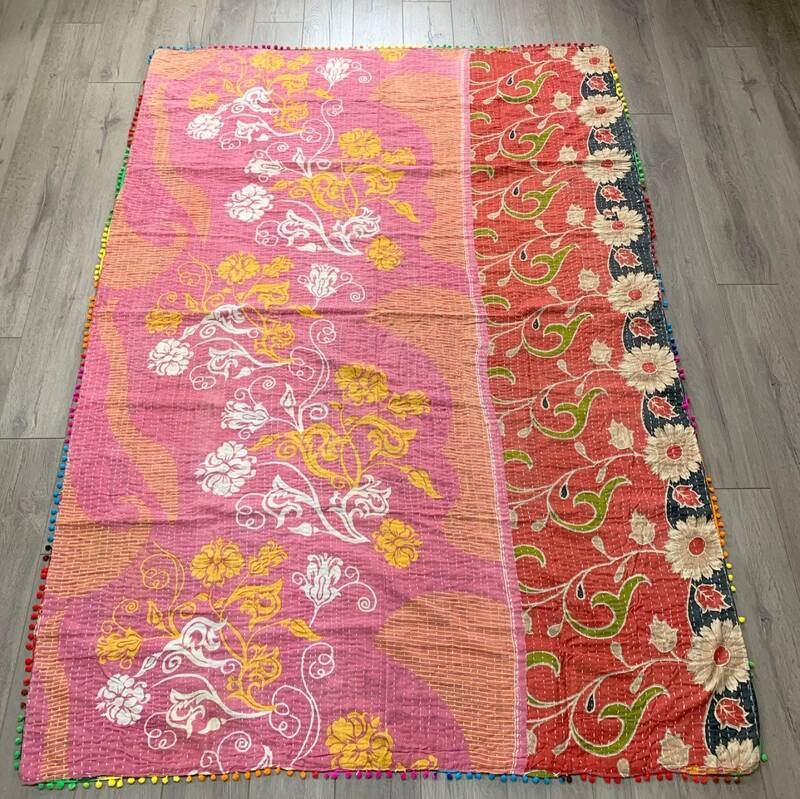 Bright, happy colours characterize this sunny floral, paisley and geometric print quilt - perfect in a bedroom folded at the end of a bed, draped over a sofa, or tucked into the nook of your favourite reading chair. 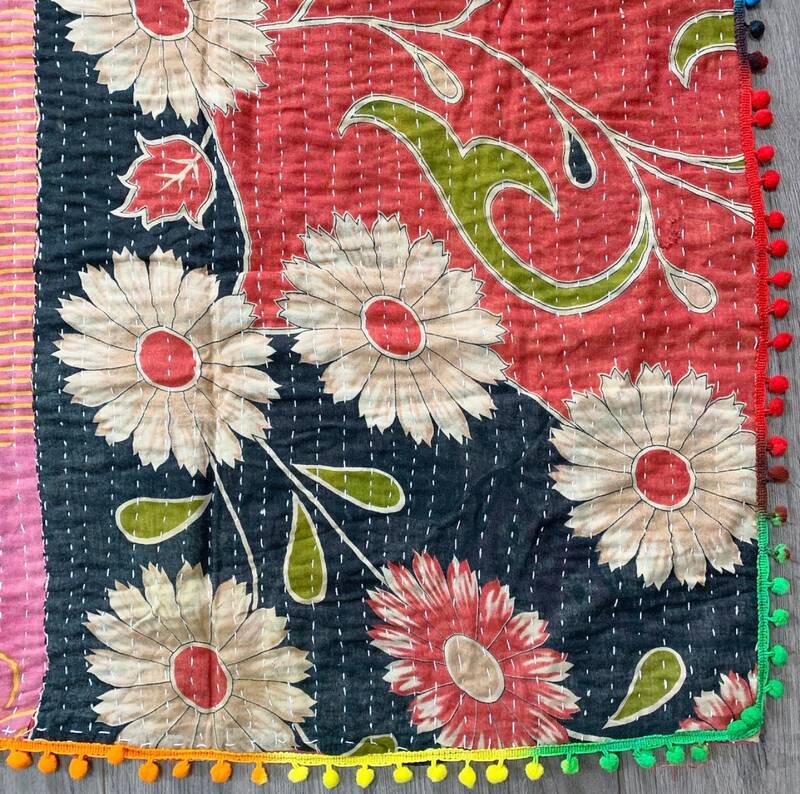 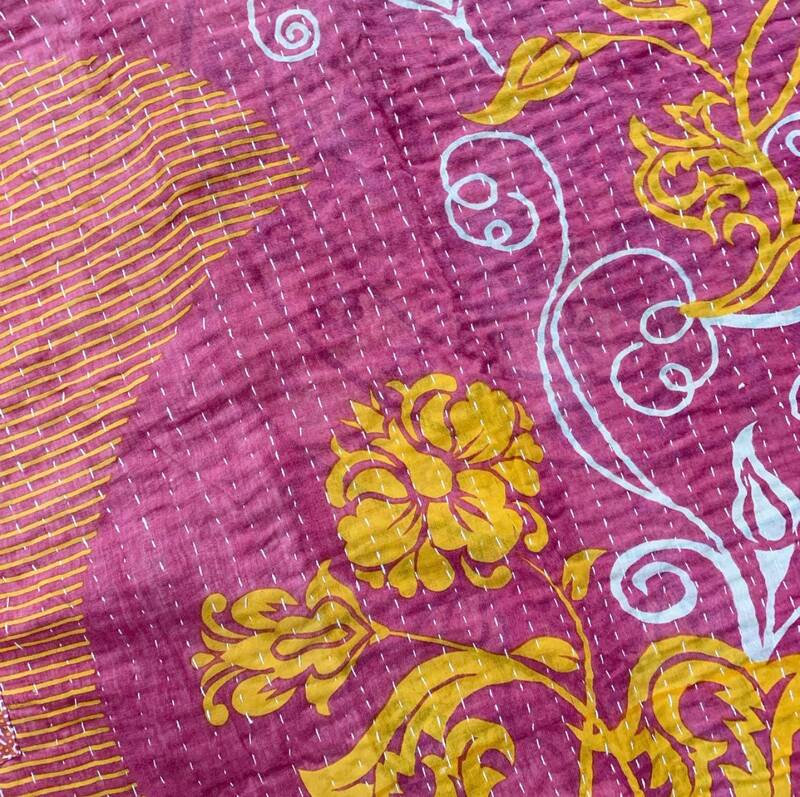 Made from one-of-a-kind vintage cotton sari fabric with hand-stitched detail, this handmade quilt will be the jewel of the room! 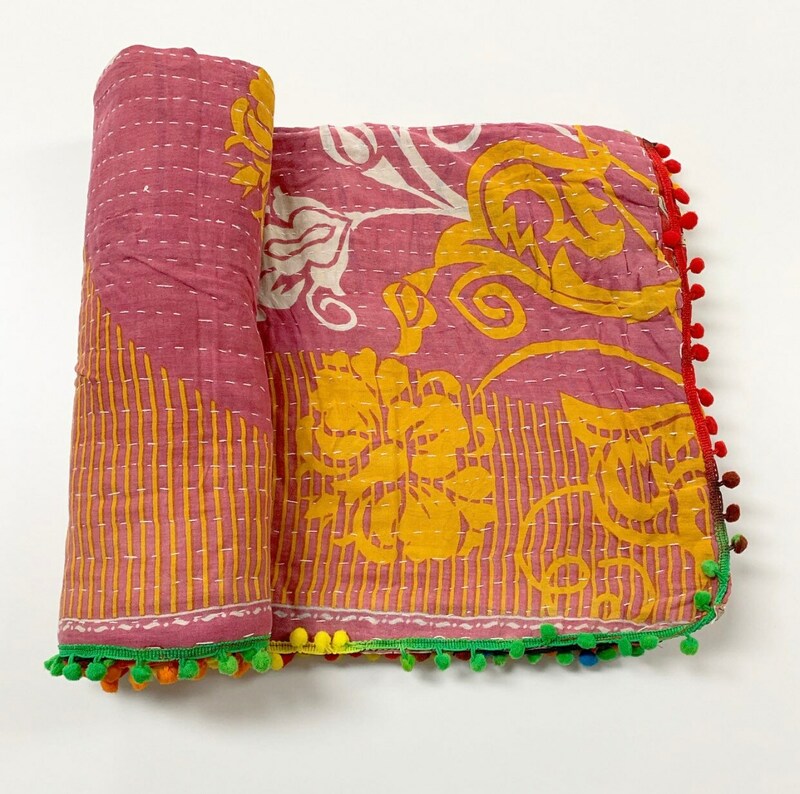 These quilts are vintage products made of real sari fabric and may have patchwork areas where more than one sari is stitched together. 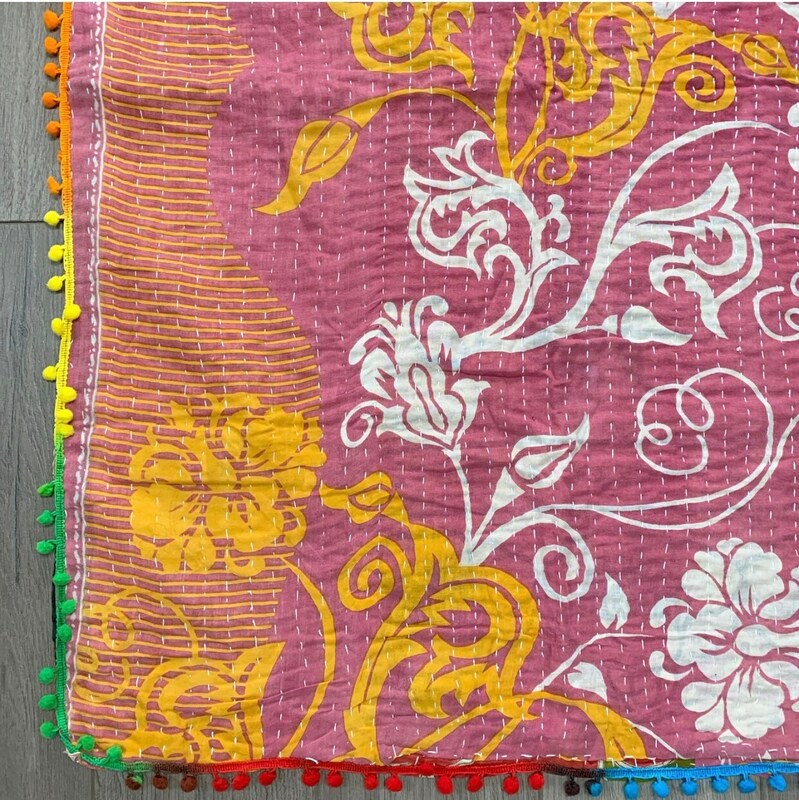 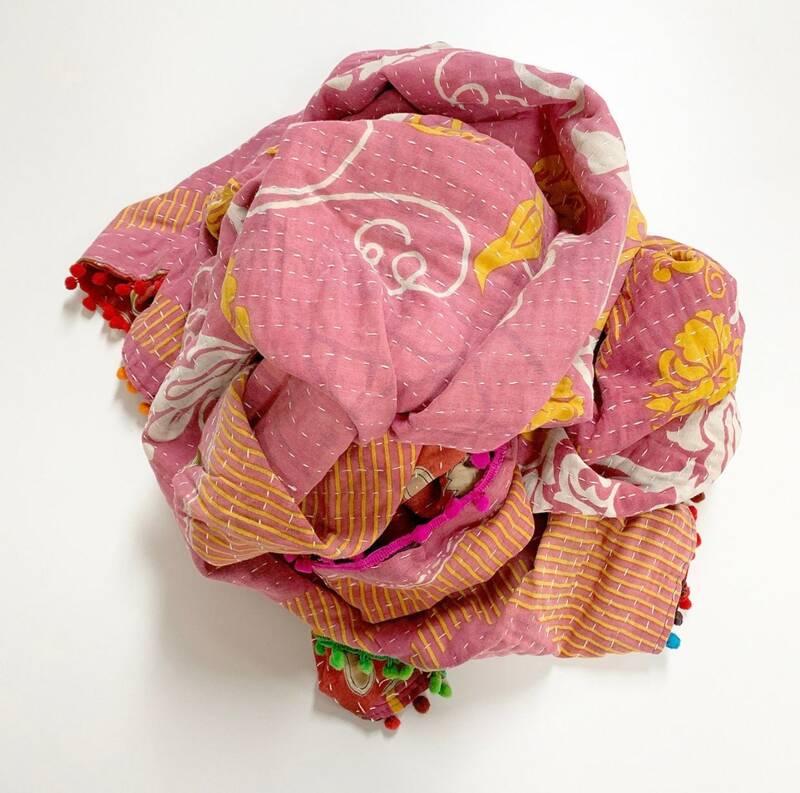 The makers have been discerning in their colour choice and we believe this enhances the beauty of these unique throws. 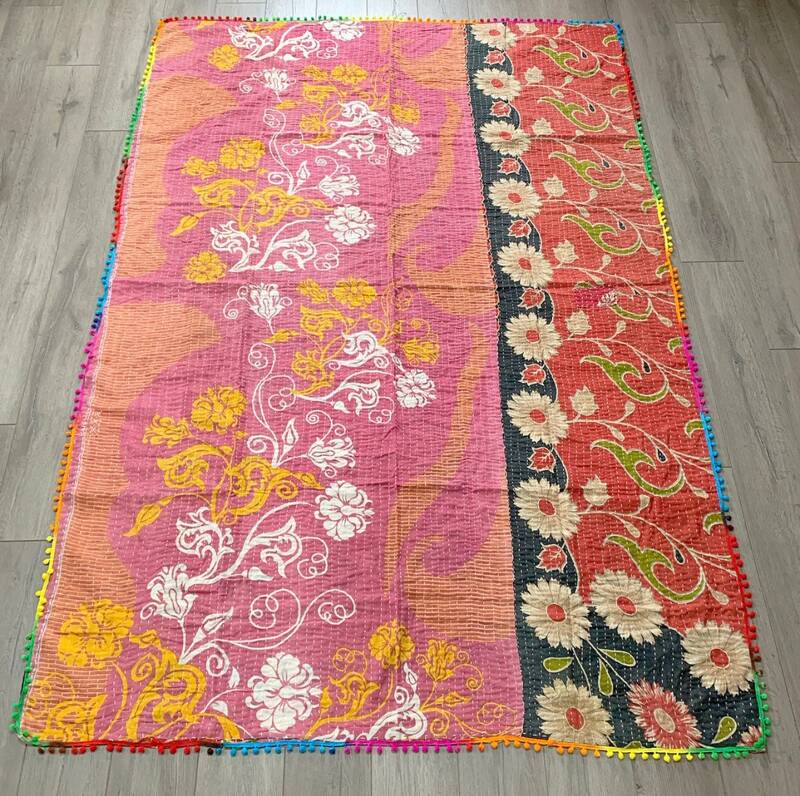 Feel free to email with any questions kitandloom [!at] gmail.com.